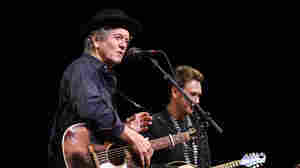 July 13, 2018  At age 67, Rodney Crowell has become the literarily inclined elder statesman of the Americana scene. 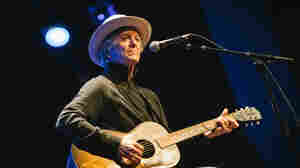 His new album, Acoustic Classics, is a look back at the songs of his career's many seasons. March 30, 2017  On Close Ties, the veteran singer-songwriter looks back on his life and the friends who have held special places in it. 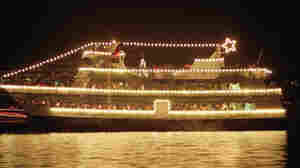 Hear a conversation and live performance. March 23, 2017  Streaming the upcoming album by one of Americana's most revered songwriters in its entirety. May 3, 2015  The veteran singers don't just share the spotlight. They also share the weight of legacy, influence and lifelong artistic investment. April 8, 2015  Accompanied by Ry Cooder's guitar, Crowell offers up a tender take on "God I'm Missing You." 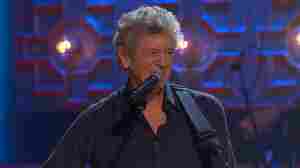 February 9, 2011  Country singer-songwriter Rodney Crowell brings his guitar into the studio and performs songs that relate to his memoir, Chinaberry Sidewalks, about his rough-and-tumble childhood in East Texas. June 16, 2014  Crowell has been a fixture in Nashville since the 1970s, lauded equally for his solo releases and his collaborations with the likes of Emmylou Harris. Hear him perform six songs live in West Virginia. June 16, 2014  The singer performs with the ease and swagger of a man comfortable in his ways. He carries his songs the way he carries his old guitar: out in the open, no case, almost as an extension of his body. March 2, 2013  The former bandmates reunite for Old Yellow Moon, a new duet album that brims with lush harmonies and practically celebrates heartbreak. 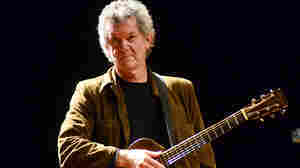 August 22, 2008  Singer-songwriter Rodney Crowell is often associated with country music, but his songs have a much wider reach, spanning rock, folk, swing and bluegrass. Hear Crowell and opening act Jenny Scheinman perform live in concert from WXPN and World Café Live in Philadelphia. 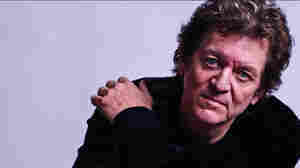 December 23, 2000  Singer-songwriter Rodney Crowell recalls his childhood memory of hearing the song I Walk the Line by Johnny Cash in the backseat of a car. 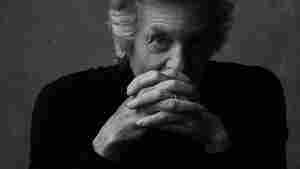 Crowell's story is called I Walk the Line-Revisted, and is set to be published in a collection next year. November 12, 2012  One of country music's most respected songwriters released an album called Kin, on which he collaborates with poet, novelist and fellow Texan Mary Karr. Hear him perform six songs. July 3, 2012  The country star and the author mined their East Texas backgrounds to create their new album Kin. 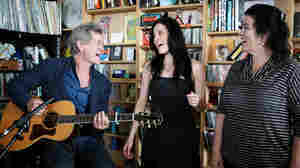 June 6, 2012  Kin: Songs By Mary Karr and Rodney Crowell is a new collaboration between Karr, the bestselling author and poet, and the maverick singer-songwriter. 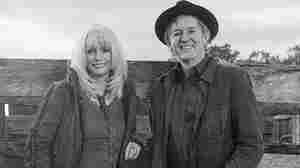 Together, they've written 10 songs, which are performed on the album by a variety of singers, including Norah Jones, Rosanne Cash and Emmylou Harris. 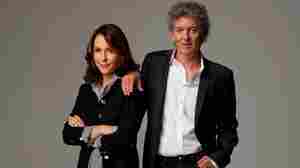 June 1, 2012  Writer Mary Karr and musician Rodney Crowell share more than respect for each other's work. A new collaborative album draws upon their common experiences growing up on the Texas Gulf Coast.